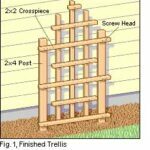 Expert advice on garden arbors, fences, trellises and gates, with materials buying guides and illustrated DIY installation tips. Fences, gates, and walls can secure your yard, provide privacy, and visually define and beautify your home’s outdoor areas. Many choices of materials and styles are available for building fences, gates, and walls. Some are manageable projects for experienced do-it-yourselfers; others are best left to professional masons, metalworkers, or installers. 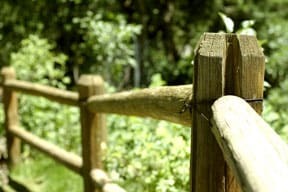 This section of HomeTips will help you determine the best fencing, gates, and walls for your yard and give you information on installation and care.